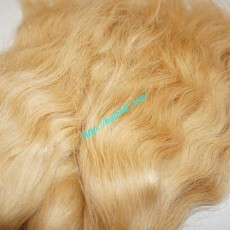 BLONDE HUMAN HAIR WAVY	There are 26 products. 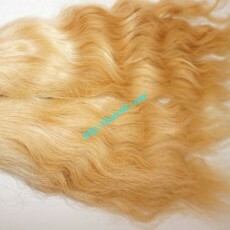 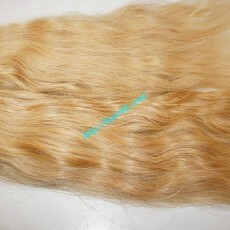 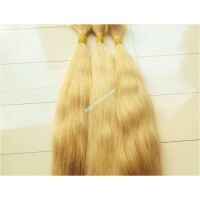 Beside bulk blonde human hair straight that you can choose the blonde human hair wavy for your hair extensions. 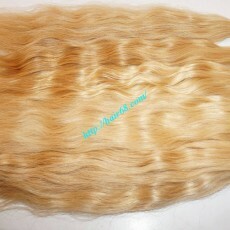 These blonde hair wavy is natural wavyvietnam hair so its folds is permanent although you wash or comb it. 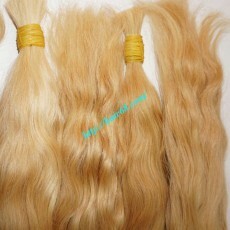 Blonde hair wavy was made from 100% virgin hair extensions which you can dye any color on it. 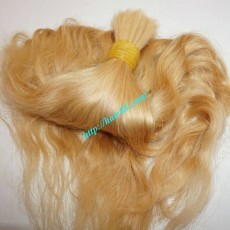 And it is 100% remy hair (same direction) with available cuticle.